Zelda producer Eiji Aonuma says too much tradition "takes away" from a franchise's uniqueness. There are a lot of descriptors you could attach to The Legend of Zelda games and standing tall among them would be "traditional." While the franchise has obviously grown and expanded since its origins on the NES, it's still markedly tied to tropes and standards that have been present since day one. As the series grows older there's no shortage of people who see this predictable nature as a liability. Surprisingly, their ranks would seem to include Zelda producer Eiji Aonuma. Elaborating on earlier statements that he's "tired" of the Zelda formula, Aonuma expressed his desire to bring change to the franchise and start bucking tradition. "Something that is 'traditional' is in a sense often something that copies previous works," he said. "If you continue doing that, it gradually takes away from its uniqueness. So we're currently working on making those parts more and more unique." 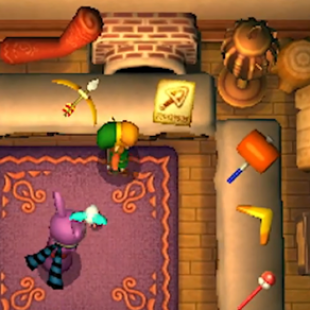 The coming changes, some of which will be exhibited in the upcoming 3DS game A Link Between Worlds, are reigniting Aonuma's passion for the franchise. "By no means, am I tired of it," he affirmed. "Rather, the more we change it, the more I get fired up. Having someone think 'Huh? Is this Zelda?!' at first, then 'Oh, it is Zelda,' is what we're going for. Something that wouldn't make it matter whether Link or Princess Zelda appear in it or not. Something where it wouldn't even matter if Zelda is actually a princess, or not." It's a sentiment that's likely to be music to the ears of many Zelda fans.